The Support Community forum battery drain and overheating problems after updating to iOS 6.1. Reports are conflicting, however, as one iPhone 5 owner saw a drain of 35 percent overnight, while an iPhone 3GS user said Apple's latest update actually boosted battery life. Were aware of an issue caused by Apple iPhone 4s handsets that have been upgraded to iOS 6.1 which impacts performance on 3G. 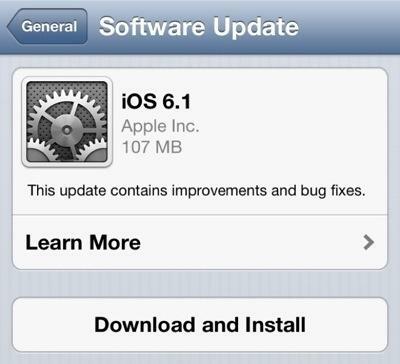 While Apples investigations continue, we would recommend that anyone who has not yet installed iOS 6.1 on their iPhone 4s should delay doing so until Apple has confirmed that their problem has been fixed.